Righty hurler Tom Eshelman was acquired last off-season from Houston in the Kenny Giles trade along with former number one overall draft pick Mark Appel as well as pitcher Vince Velasquez and two other players. If Eshelman progresses as the Phillies hope he will, the talented Californian could become the steal of that deal. Scouts had Eshelman classified as one of the most polished pitchers in the 2015 draft. After becoming Houston’s 2nd round draft choice (46th overall) and signing for a reported $1.1 million, Eshelman started four total games at two levels of the Astros’ system that year. 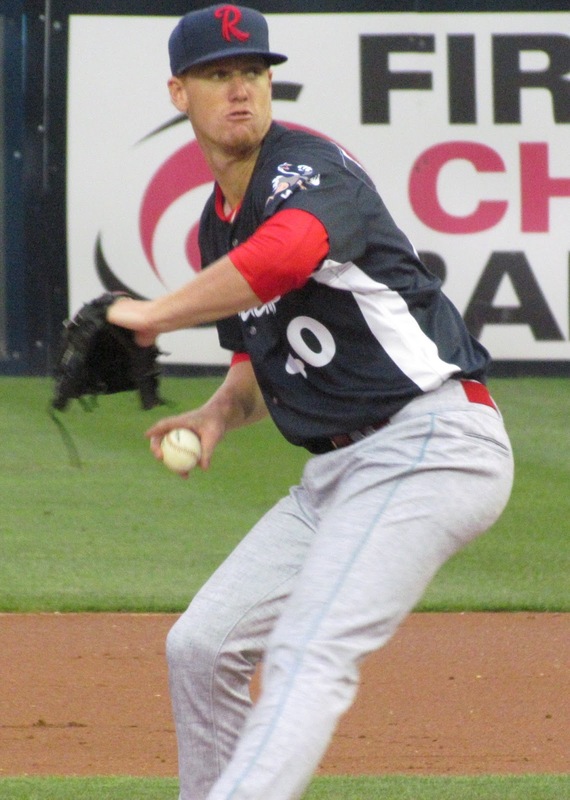 In 2015 as a member of the rookie level Gulf Coast League Astros, Eshelman allowed two earned runs while striking out three and walking two in four innings of work. He was then promoted to Class A Quad Cities where he allowed three earned runs while striking out five and walking three in 6 1/3 innings. 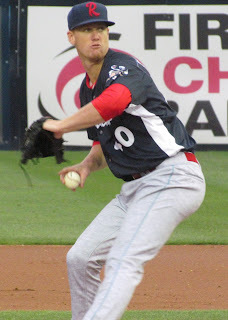 After opening the 2016 season with the Class A Advanced Clearwater Threshers, Eshelman would become a Florida State League All-Star. In 11 starts there, the six-foot-three 210-pounder tallied a 4-2 record with a 3.34 ERA, a .251 batting average against and a 9.7 K/9 mark. He would be promoted to Double-A Reading by mid-season. As a member of the post-season bound Fightins, Eshelman wasn't as sharp. In 13 starts for Reading, Eshelman posted a 5-5 record, a 5.14 ERA, a .307 batting average against and an 8.1 K/9 mark. Those numbers shouldn't be alarming, as it's important to remember that he was pitching at the Double-A level in just his second pro season. Eshelman would miss the Eastern League playoffs after requiring an emergency appendectomy in early September. Continued physical development could help Eshelman add some velocity. That would benefit him a lot, as the young hurler was peaking in the low 90's when I saw him pitch in July for Reading. He also is equipped with a slider that helps him get some swings and misses as well as a curve ball and change up that both can work as average offerings. Control is definitely the big factor in the 22-year-old's game, as he notched a collegiate career record 0.4 BB/9 mark in three years at Cal State Fullerton, where he was a multi-time All-American. He possessed a 313-to-18 strike out-to-walk ratio in his college career. On top of that, in his 2015 junior season, Eshelman sported a 1.58 ERA in 18 outings for the Titans. His ability to locate pitches helps Eshelman greatly, as he is often praised considerably for his control. He possesses an ability to throw any pitch in any count, so the concept of a “hitter’s count” doesn’t really apply with him. Considering that command is something that typically comes along later with pitching prospects and that Eshelman already has it, he’s well ahead of the game in that regard. A deceptive delivery also plays in his favor. Some buzz has surrounded the difficulty that batters can have picking up his pitches. It's likely that Eshelman opens the 2017 season back in Reading as a key member of their starting rotation. Look for him to perform better in the Eastern League this year.